I have been living in rompers lately. 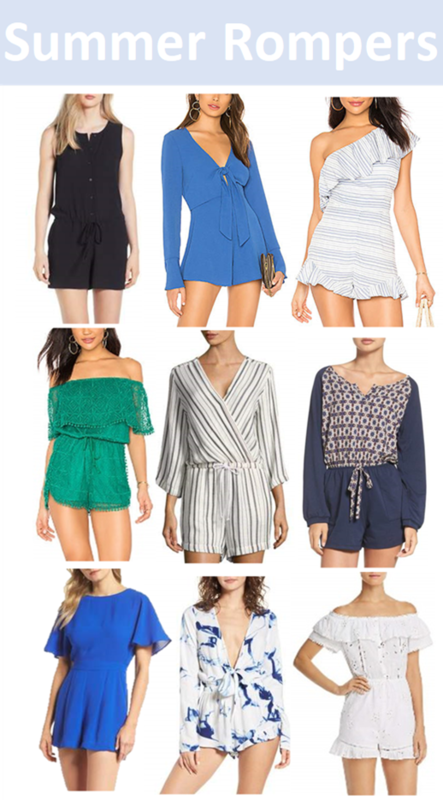 I feel like rompers are always on sale so I have been stocking up for the past year or two, but I love wear them any time I have somewhere to go. This weekend we went to the casino to watch the Belmont race. Prairie Meadows in Des Moines has a little horse race track that during the summer and for big race days you can watch the race there. This year I just wore white jeans, but I noticed everyone was wearing rompers. I obviously love trends, but I love seeing the local trends. Des Moines has hot and humid weather, and sometimes a dress is nawt what you want to wear. Rompers are the perfect way to look great and stay cool. Here are some of my favorites for this summer.